Dr. Letz is always working to increase her levels of professionalism. In August of 2013, she completed her certification and is now offering Trigger Point Dry Needling as an adjunct to all the other Chiropractic services. In March of 2010, she completed the Certification program for the Titleist Performance Institute. For her patients that play golf, this gives her a great ability to treat from an incredible level of knowledge; allowing her to treat not only from a Chiropractic arena but also in the area of improving a patients ability to play better golf. Dr. Andrea Roberts joined Path to Wellness in February of 2014. She is, however, no stranger to the Fort Worth area as she has practiced here since 2009. She was formerly known as Dr. Sequeira and is bilingual in English and Spanish. Andrea was born in Heredia, Costa Rica and is the younger of two daughters. She always knew she wanted to be in the healthcare field. A basketball injury in college involving her neck put her on the path to what eventually became her specialty. As a chiropractic patient, Dr. Roberts quickly learned the difference between sick care and true health care. 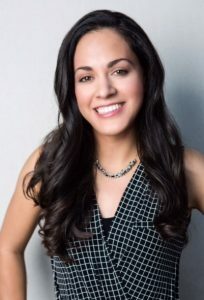 She attended Midwestern State University before transferring to Parker University, where she earned Bachelor of Science degrees in Health & Wellness and Human Anatomy as well as a Doctorate of Chiropractic in 2009. Considering herself a “student for life,” she has completed post-graduate work in clinical nutrition, biomechanics, metabolic conditions, healthy aging, and female and male health. Because of her background, she has always enjoyed working with athletes. During her last year as an intern at Parker, Dr. Roberts had the honor of being selected to be one of two Team Doctors at the American Junior Olympic Baseball Tournament in Venezuela. 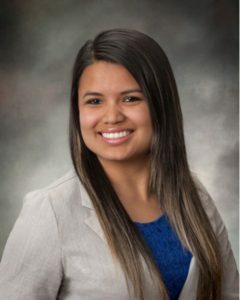 Dr. Salazar joined Path to Wellness Chiropractic in August 2017. Dr. Salazar is a 2011 Hardin-Simmons University graduate with a Bachelor’s Degree in Biology with a minor in Spanish. In 2012 she began the Doctorate of Chiropractic program at Parker University, in Dallas and graduated in 2015 with a Bachelors Degree in Anatomy, a Bachelor’s Degree in Health & Wellness, as well as a Doctorate in Chiropractic. Dr. Salazar is also certified in Rocktape Performance Movement Taping, Activator Technique, Webster Technique and various other soft tissue techniques for the biomechanical rehabilitation of joints. Dr. Salazar’s passion is to bring the Chiropractic healing art to as many people as possible and demonstration to them how the power that made the body, can heal the body. When Dr. Salazar is not in the clinic helping patients she is spending time outdoors with her family and dogs, Beau and Bella. Dr. Bryan Schlackman joined the Path To Wellness family in February 2018. He was raised in Richardson, TX and has lived all throughout DFW his entire life. He prides at being a Texan and is excited to serve the citizens of Fort Worth. He graduated from the Parker University chiropractic program in 2018 with Honors and received his bachelors of science in Biology from Dallas Baptist University with Honors. He has been happily married to his college sweetheart, Aubrey, since 2010 and they have a precious son, Levi. Prior to becoming a chiropractor, Dr. Bryan gained experience in the fire department and the health food industry. In 2012, he made a career change and went back to school because he wanted to serve and heal people with a conservative and natural approach to healthcare. 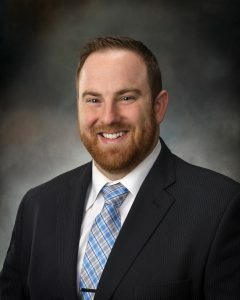 He was attracted to the profession because the art, philosophy, and science of chiropractic care has helped millions of people improve their overall lifestyle and truly changed the definition of “health.” Dr. Bryan’s desire is to see all people of all ages gain optimum health and vitality through chiropractic care. Dr. Bryan has years of experience in the endurance sport arena and has helped athletes improve their performance and longevity. He has run 5 marathons, several half-marathons and did a 2,400 mile hike – completely on foot – across the Southern United States and Western Europe for a Christian water relief organization. In his spare time, Dr. Bryan enjoys spending time with his family, traveling, playing guitar, grilling, building, mountain biking, running, baseball and golf. He is honored to have the sacred trust of serving his patients with gift of chiropractic care.